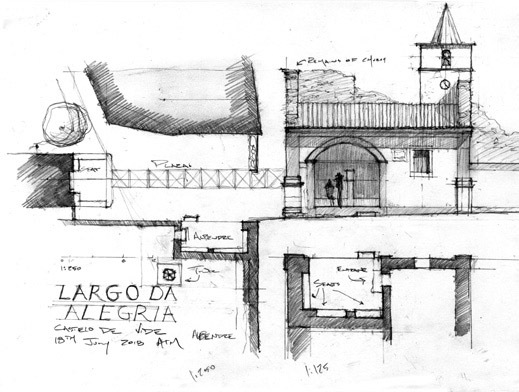 The 2018 Marvão Traditional Architecture Summer School consisted of a team of 28 participants from multiple universities, practices and countries (Phillippines, Portugal, Spain, Germany, England, Guatemala, Mexico, India, Brazil and United States) who came together for two weeks to discover the town of Beirã and its significance to Marvão and the Alto Alentajo region of Portugal. During the first week we visited different towns (Elvas, Castelo de Vide, Marvão, Évora, Portalegre) to observe their relationship to one another as countryside towns. Through drawings and sketches of each place, it was noticed the towns had their own distinct characteristics yet shared a common theme of urban organization and architectural syntax. This was used to assist with the design and development of Beirã during the second week of the program. 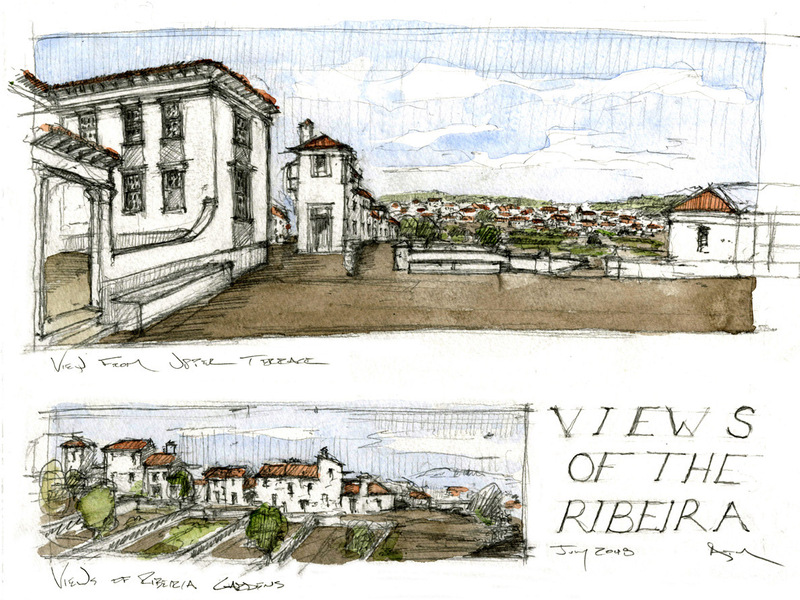 During the days full of lectures and site visits, we set out to define the task: what could a mature Beirã look like? 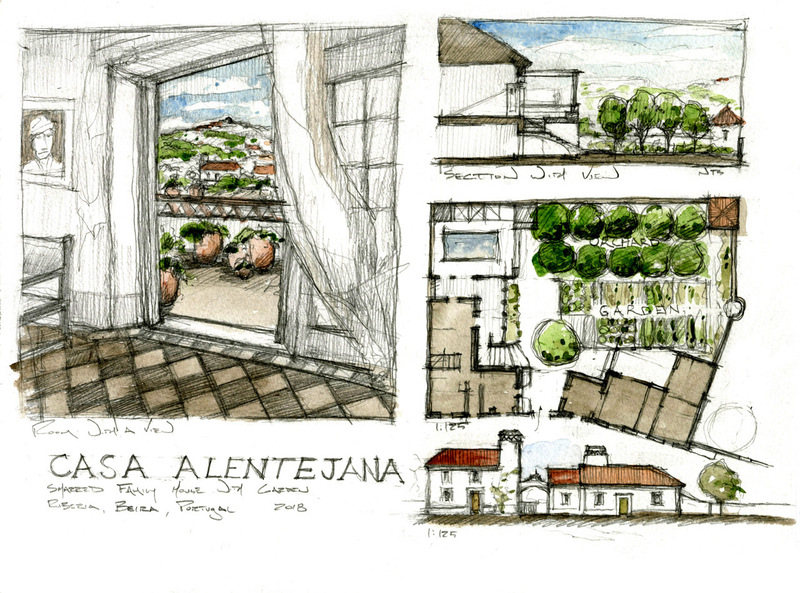 To do so we found it crucial to start with its history and position within the Alentejo region in order to gather a sense of place. From meeting with the municipality and speaking with members of the community we accumulated a range of information, everything from its geographical location and the surrounding landscape to the dissolution of the city center. After learning of the geography and social history, we honed in on the smaller details that bring life to Beirã. 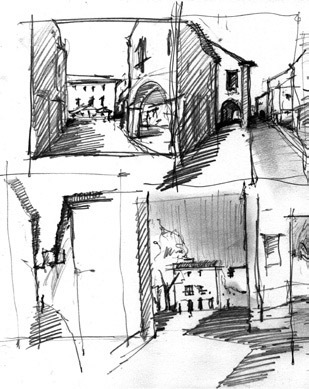 We spent countless hours on foot observing the community – we explored, sketched and photographed. We recorded the vernacular architecture that characterizes the town along with the urban fabric of the community. In the process we noticed distinct local patterns that gives Beirã its character: chimneys, porches and balconies, windows, doors, corner treatments, local colors, steps, gates and fences, symbols, vegetation. While surveying we also became comfortable with the spatial structure of the town and began to record activity spaces, transitions and public seating. We went back to the studio to design based on these observations. We sorted through hundreds of photographs and sketches to find the best examples of the vernacular architecture and community aspects. By doing so we established an important pattern language that enhanced the ‘mature’ design of Beirã. 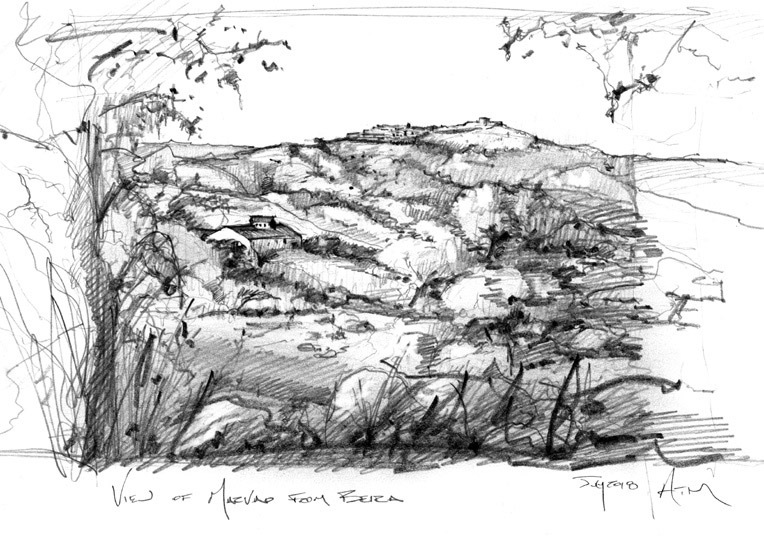 Our designs worked on the principles of creating a holistic place that naturally grows from its characteristics. 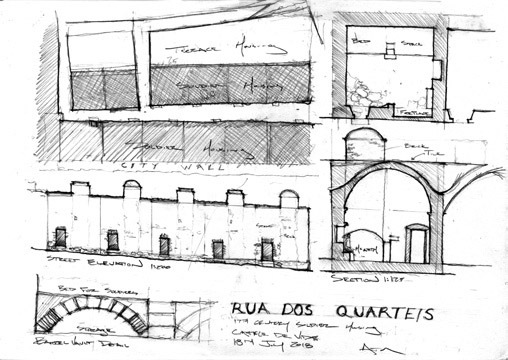 The design was based on an understanding of not only what happens at the centre of Beirã but also what happens around its outer edges.The design of Beirã was split between four character areas (publication to be released soon) that together created the full vision of the place. Based in a studio, students worked in designated groups to collaborate and physically draw design options that would eventually be presented to the community. We exhibited our observations and designs to the community on our final night. Dozens gathered to view our work and discuss Beirã’s potential. The intent was to include the community in its enhancement and encourage its inhabitants to be an active part in implementing a greater vision, even through small steps such as continuing the pattern language. In the near future, a publication will be released showcasing the work completed during program. • We are happy to share our experience in more detail and hope to take part in the Premio Rafael Manzano Summer School (https://www.premiorafaelmanzano.com/en/) in the near future. • Something that has stuck with us and has lead to many subsequent conversations is a statement from one of the lecturers: “the best way to preserve culture is to practice it”.